Green infrastructure (GI) is considered a benefit for territorial development because it provides multiple functions within the same spatial area. The joint ESPON and Interact Working Paper “Migration and the Role of European Territorial Cooperation (ETC)” stems from the conclusions of the General Affairs Council meeting in November 2015. The ESPON EGTC is pleased to announce that the next cut-off date for the submission of proposals for Targeted Analyses is on 28 June 2019. Further information about the number of proposals the ESPON EGTC shall select, will be available soon. The Online Mapping Tool aims at providing access to the ESPON knowledge base in an easy and highly digestible manner. The Online Mapping Tool focuses at policy makers and practitioners at all administrative levels. In addition, the tool targets the general public and should in particular benefit the non-expert users. 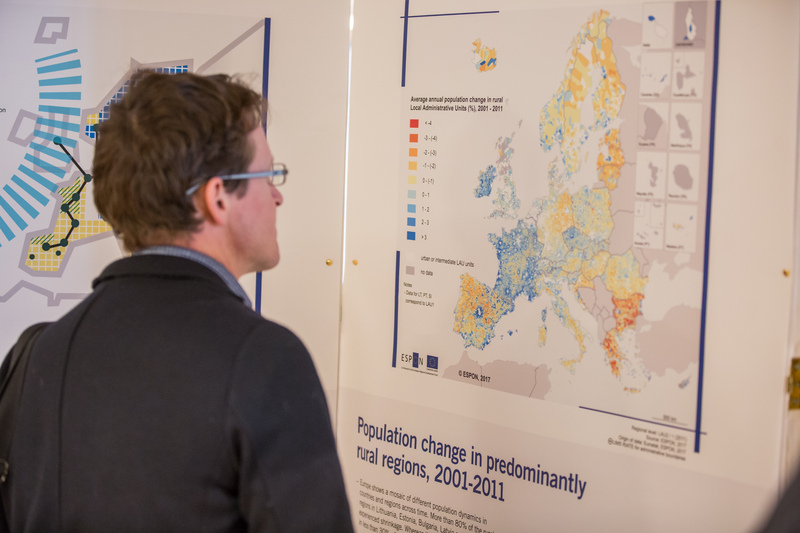 The tool has a direct link to the ESPON 2013 regional Database and is fully compatible with data and indicators included in it. This means that the data and indicators are indirectly coming from all those ESPON projects for which data has been integrated in the query search of the ESPON 2013 Database. With the tool, the user can query the regional data included in the Database and build maps and diagrams using various NUTS levels. In addition, the tool offers the possibility combine and overlay the indicators, to choose the geography, adjust the maps, re-order the diagrams and even make animations based on indicator time series. Finally, the user can print, export, share, zoom-in & zoom-out and save the maps as a file. 1. How to Create a Map in 3 Steps. 2. How to Create a Study Area. 3. Charts integrated in the tool. 5. How to customize a Map. 6. How to export and share a Map. 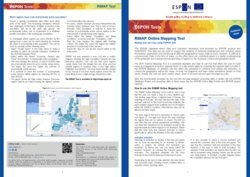 With the functionality provided by the Online Mapping Tool the tool fills the gap between providing data in tables (by the ESPON Database Portal) and providing data in fixed maps (by the ESPON Online MapFinder and ESPON project reports). The Online Mapping Tool is designed and developed by the RIMAP Project.